Cache info shows all trees and grass/plants currently spawned in cache. BillboardSystem will in many cases preload all trees on the terrain since billboard range is set large by default. 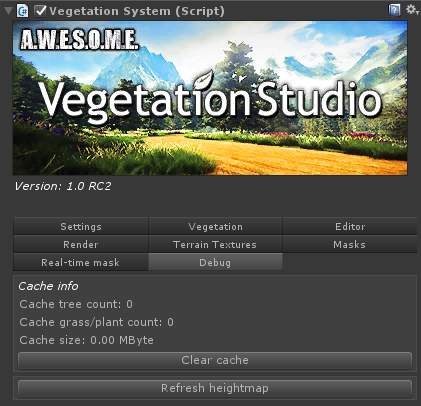 This will reload the heightmap from the terrain, clear cache and refresh the vegetation.